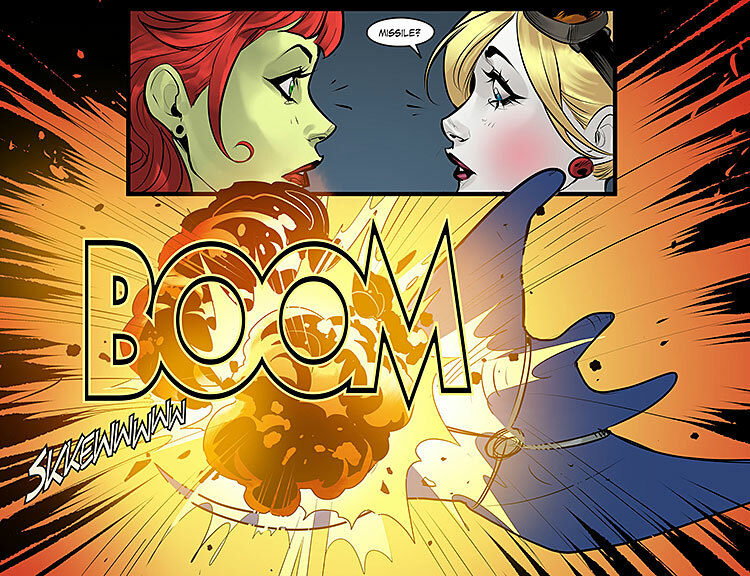 The classic Batman series characters are out and in love in this Friday’s DC Comics: Bombshells #79. 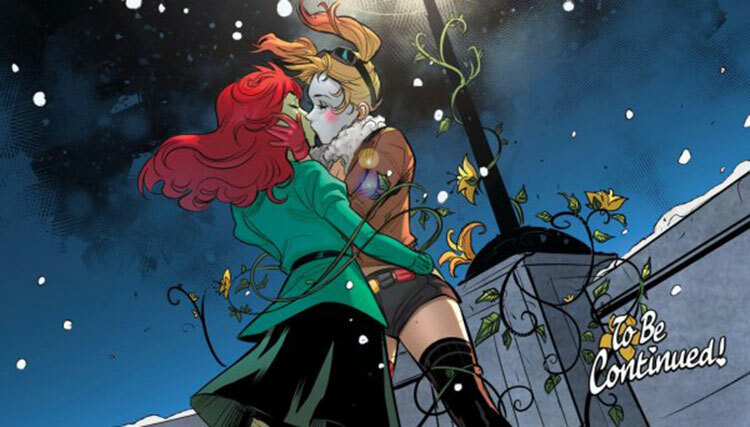 Harley Quinn and Poison Ivy — iconic villains in the Batman universe, now turned anti-heroes — are comic-dom’s newest queer couple, taking their relationship center stage in DC Comics: Bombshells comic book series. Set in an alternate reality where popular DC characters are depicted as 1940s pin-up style heroes during World War II, the DC Comics: Bombshells series explores the ladies' relationship in a brand new story arc. The duo first became bosom buddies back in the ’90s on the classic Batman: The Animated Series cartoon television show and quickly became fan favorites thanks to their flirty friendship. 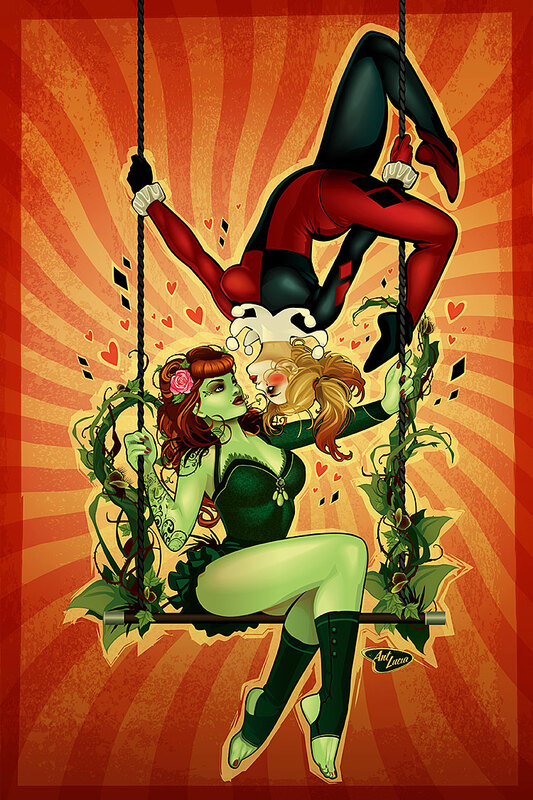 Their hinted-at romance continued over the years in the pages of various comic book series; a will-they-or-won’t-they that continued to entice comic readers longing to see the gals become more than friends. 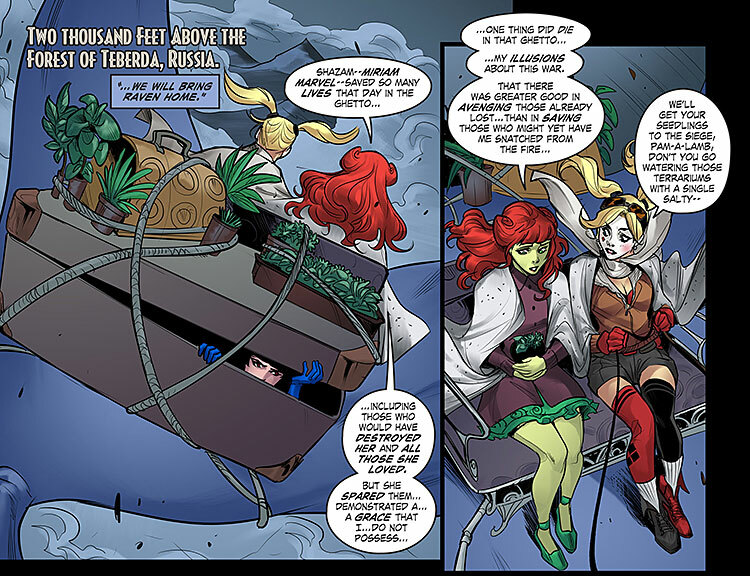 Fans finally got their wish in last year’s Bombshells #42, when Harley and Ivy were depicted sharing a glorious on-panel liplock. At last! Now, in this Friday’s weekly digital-first chapter 79, the Sapphic love of the two ladies is a key part of the ongoing storyline. Below are some preview pages of the story. 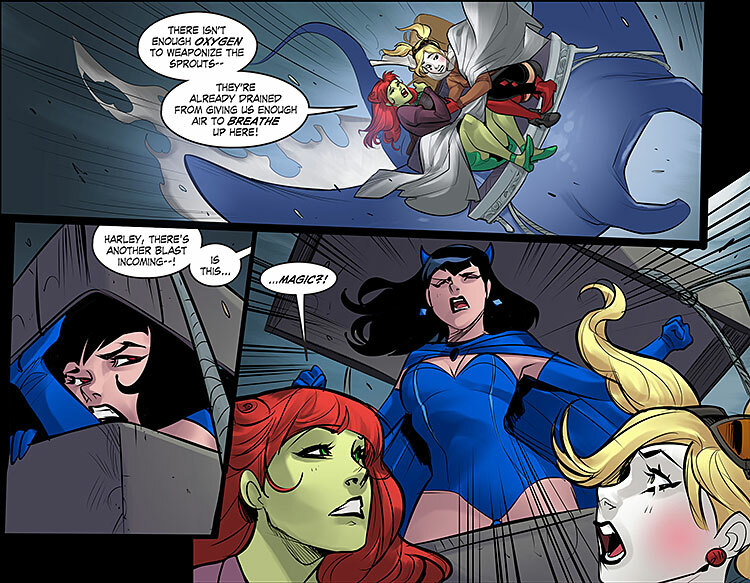 DC Comics: Bombshells #79 is out digitally tomorrow. You can download it via the DC Comics App, Readdcentertainment.com, iBooks, comiXology.com, Google Play, Kindle Store, and Nook Store. Cover art to issue 79 by Ant Lucia.